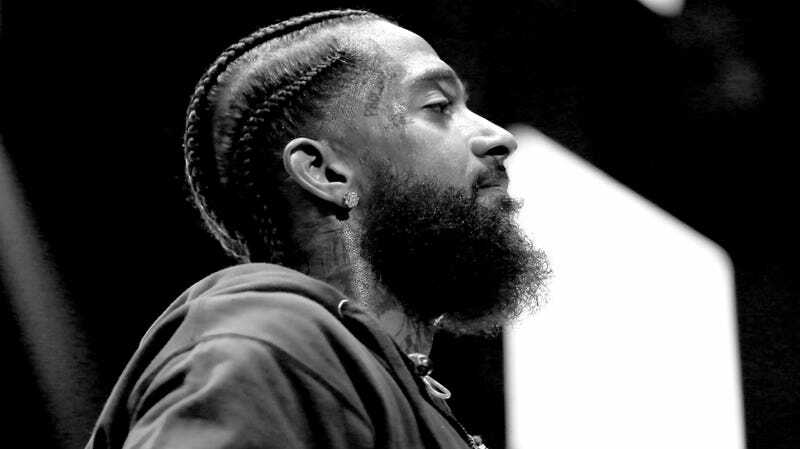 This afternoon, thousands of mourning fans and loved ones will converge in Los Angeles to say farewell to rap artist, community advocate, and philanthropist Nipsey Hussle. The public memorial service will take place at the Staples Center beginning at 10 a.m. PST. The sold-out service will reportedly include a number of performances (which have not been specified) and will be livestreamed across the globe. The last memorial service that was hosted at the Staples Center at this magnitude was in 2009, for Michael Jackson. Following the service, a 25-mile procession will pass through a handful of areas that were significant to the fallen rapper, such as Inglewood, South L.A., and Watts. It will also ride by the Marathon Clothing store where Hussle was shot on March 31. BET will be providing a number of ways for fans to watch the service from home. Aside from airing it commercial-free, the channel will also stream it directly on their website and BET News’ Facebook page. You can also stream the service via Tidal (which will not require a subscription) and CBS’s official YouTube channel, starting at the 10 a.m. PST.